The trend of Plastic shopping bags started in the early 1960s. These disposable bags are relatively found in most of the grocery stores nowadays as it is an inexpensive alternative to any other bag. Researchers from across the world have explained the causes that millions of disposable bags are scattered all around the world. It is quite harmful to us. 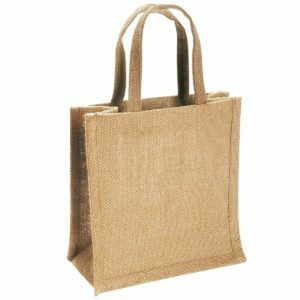 Jute bags manufacturers have come up with environmental shopping bags to reduce these harmful effects on us, as well as, the environment in general. A plastic Bag cannot decompose easily. These bags are created from fossil fuels and a lot of fresh water and energy is utilized in the manufacturing process. Ultimately as a result of it the manufacturing process exposure a lot of solid waste and millions of tons of CO2 every single year. Plastic Bags are drastically impacting the environment as well as the sea animals. The wastes which come from the plastic bags production has increased the risk of flooding. These bags never decompose or break down and the sea animals are generally confused by the floating bags and other plastic particles. They think these bags as jellyfish or planktons and once injected they starve to death. Rest other animals get drowned after becoming entangled in plastic waste. Plastic pollution is one of the major issues faced by everyone. There are many steps being taken to reduce the use of a disposable bag. Many businesses, as well as companies, have switched to the reusable bag. A small step taken to save money and protect the environment. There are many rules and bylaws formulated just to ban plastic or reduce the use of plastic items. Along with this, use of plastics has proven to be expensive for consumers and taxpayers. This is because the cost is passed on to the consumers in the form of higher prices of the product. Millions of dollars are used to clean up every city and properly dispose of plastic bags. Keeping everything in mind the best alternative for a plastic bag would be environmental shopping bags produced by jute bags manufacturers. Jute and Cotton both can be used as an alternative. These eco-friendly bags are very trendy these days. It comes in various designs and sizes. There are many jute product suppliers across the world. There is a tough competition amongst all the manufacturing companies. A lot of grocery stores are there who have started giving discounts to the customers using eco- friendly bag. We are one of the leading manufacturers, as well as, suppliers of Jute shopping bags, Cotton promotional Bags, Gift Bags, Canvas bags etc. Therefore, every person should understand the pros and cons of each bag. Then decide which you are most comfortable using.